God, what a bloody awful week or so its been since my last blog. I think I signed off last time saying I thought I had a nasty bug on its way - how wrong I was! It turns out I was suffering a severe withdrawal from the painkiller I'd been taking for my slipped disc, Tramadol. 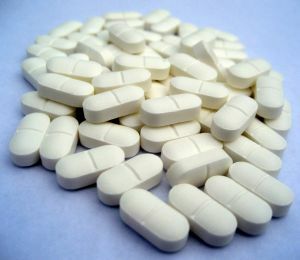 Tramadol is a very strong and highly addictive opiate-based painkiller, and is only used for relief from extreme pain. My Dr prescribed it for me, giving me little warning, or idea of how dangerous this drug can be. I took my 400-500mg per day dosage for the 4 weeks it was prescribed, and then started to cut down to just one or two doses a day from last Sat/Sun as I wanted to try to not be relying on it when I returned to work as it made me very drowsy. On Sunday I had a very nasty dizzy spell and blurred vision for a while which was quite frightening. Then by Monday I was sure I'd picked up a nasty stomach bug as I was incredibly sick, and couldn't keep anything down - then the anxiety started! I then started to wonder if it was something to do with the lack of painkillers rather than a nasty bug, as I don't usually feel so anxious when I have a standard sickness bug. I talked it over with Liam and we searched 'can Tramadol cause anxiety' on Google, and surprise, surprise I found reams and reams of people saying they were suffering from identical symptoms as me, due to withdrawal from Tramadol. I read up on the NHS website, spoke to NHS direct (who were USELESS!) read the in-packet leaflet cover to cover, scoured the internet and then visited the Doctor, who agreed it was severe withdrawal from the drug. I also spoke to my local pharmacist, who was very helpful, and again said he'd seen withdrawal similar to mine from Tramadol, and explained how hard a drug it is to come off. My withdrawal after only 4 weeks usage is very rare, but shows just what these drugs can do to you! I must say that I was partly relieved when I found out these symptoms were due to a drug withdrawal, because having suffered from anxiety in the past, I was sure I was losing my mind, or having a 'breakdown' and had no idea why it was happening, as I feel so happy and 'together' in all aspects of my life now, and I felt as if this had just hit me, come from nowhere. 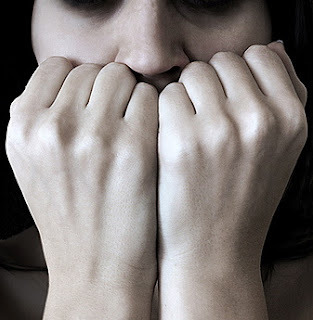 I have literally experienced the worst anxiety and panic-attacks ever over the past week :-( Constantly in a frenzied state of anxiousness, warped and uncontrollable thoughts, terrible insomnia (I didn't sleep for 48hrs straight), extreme sweats, sickness, difficulty catching my breath, no appetite, extremely low mood, in tears all the time, nervousness, and after two desperate visits to the doctors I was taken off ALL opiate-based painkillers and instead prescribed diazepam and beta-blockers for a week (with my dosage of both these drugs tapering down throughout the week to ensure no adverse or withdrawal affects), and signed off for a further week, to get me through the rest of the withdrawal. It has literally amazed me that a simple painkiller can have such a serious affect on someone, and all I can say is thank-god for my amazing family and friends, who have been a constant support to me. And although there is little they can do to help my symptoms, they have just been here, either in body or on the end of the phone, re-assuring me, taking me to the doctors, hugging me, getting me tissues, making me drink water, and attempting to take my mind off it. I don't want to be alone at any point, as the anxiousness has been so overwhelming and frightening, and my lovely Mr, and my family have been with me and not left me alone, thank god. The doctor assured me that as the Tramadol slowly works its way out of my system my symptoms will subside, and along with the help of the diazepam and beta-blockers, in the next week I should begin to feel back to 'normal'. Each day I am noticing an improvement, and my anxiety is starting to get better, I am now eating, and the diazepam is allowing me to sleep, which has definitely made a difference. I feel extremely weak, and worn-out, my mind feels frazzled, and I still feel anxious and don't really want to be by myself just yet. I'm hoping that this time next week I will back at work, and just totally feeling myself, for the first time in what seems like months! My opinion of prescription painkillers has done a complete 180 in the last week, and I can confidently say not only will I NEVER EVER take an opiate-based painkiller ever again, but I will also ask the doctor LOTS of questions about anything they ever prescribe me in the future, and will try hard to rely on more natural means of pain relief / medicine. In short, it has really frightened me, and obviously has highlighted the fact that my body cannot cope with opiates, and is quickly addicted to them. All I will say is thank god I don't smoke, or drink, and have no interest in recreational drugs, otherwise I could have some very serious long term addiction problems. 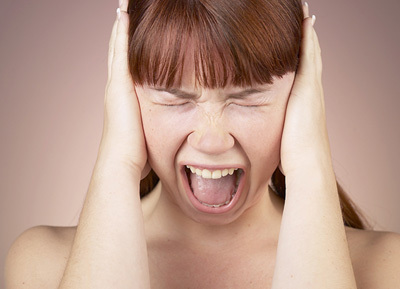 I have a new respect for addicts of more serious substances, or with a more long-term addiction, as the withdrawal I have experienced has been the worst illness/mental-health experience of my life to date, and I seriously hope I never ever have to experience anything like this ever again. 1) Do not just suddenly cut your dosage of the tablet - make sure you very slowly wean yourself off of the drug, I would say lowering your dosage maybe by 50-100mg at a time, for a few weeks, then again for a few weeks, until you can peter out to nothing at all. 2) Also make sure you talk to your GP and get their advice about when and how to come off of this drug. 2) taking it for a very short period of time, with extreme caution, and again, coming off of it slowly rather than abruptly. I am just hoping that each day this week I improve and feel better, and that by next week I can start a-fresh, get back to work, to normality, to exercise, to seeing my friends and living life normally again. As for the back pain from my slipped disc, I will continue to see the osteopath, wait for my physiotherapy referral, use cold packs, rest when I can, and combine that with gentle walking to and from work. I will use only paracetemol painkillers and anti-inflammatories when the pain needs more than a natural remedy. Onwards and upwards, and lots of positive thinking & detoxing vibes! Nice feedback ! more informations about this tablets available here---> pharmacielasante.com ! Pour eviter les effets indesirables, s'informer aupres d'un praticien avant d'Acheter Tramadol sans ordonnance en pharmacie en ligne sur internet !